With USDA emblazoned on his badge, Agricultural Marketing Service on his nametag, and the National Bioengineered Food Disclosure Standard tacked up on the door, he’s looking to round up bioengineered foods and slap a brand on ‘em. At the same time, the justice he delivers excludes many who understand how to navigate the system. And so, two big questions loom large: Do we have to disclose? If so, do we qualify for exemption? Here in Part I of this three-part series, we will explore the basic regulatory requirements. In Part II, we will focus on the implications and potential impact as well as strategies for exemption. In Part III, we will focus on the anticipated cost of compliance. Mandatory Compliance Deadline: January 1st, 2022. That’s what it all comes down to. But what is required of you? And how will you get there? A food that contains genetic material that has been modified through in Vitro recombinant deoxyribonucleic acid (rDNA) techniques and for which the modification could not otherwise be obtained through conventional breeding or found in nature. Intent: The law doesn’t focus on non-GMO claims. That more or less follows the same path it does now… for now. Rather, the NBFDS is all about disclosing to consumers that a product contains/may contain detectable bioengineered ingredients. Intentional Inclusion: The NBFDS puts in place a zero-tolerance policy requiring disclosure if a manufacturer intentionally includes BE inputs that are detectable by PCR analysis and not eligible for exemption by some other criteria. In many ways, this is stricter than most of the world. Inadvertent/Technically Unavoidable: The NBFDS allows for up to 5% BE per ingredient as long as its inclusion was originally unintentional or otherwise technically unavoidable. “Food”: Defined in accordance with the FDC definition to cover only food for human consumption per 21 U.S.C. 321. This includes supplements, enzymes, and processing aids. Pet food and animal feed are not included. Refined/Highly-Refined Foods: This is the one we’ve all been waiting for. How is AMS going to handle these food products? Remember, this law is not about transparency; it’s about the final product. As such, any refined food or ingredient that does not contain detectable BE DNA is exempt from these disclosure requirements. If there’s no plant DNA, there’s no BE DNA. If there’s no BE DNA, there’s no BE or so it is now defined. “Bioengineered food” for raw agricultural commodity or a processed food that contains only BE food ingredients. “Contains a bioengineered food ingredient” for a multi-ingredient food that contains one or more BE food ingredients. Understanding the nuts and bolts of the National Bioengineered Food Disclosure Standard is the easy part. Protecting your business is the far greater challenge. To do this, you need a firm understanding of the regulatory nuances. In Part II, scheduled for April 11th, we explore the law’s implications, possible impact, and paths to exemption. Do you have questions or need help navigating these challenges? 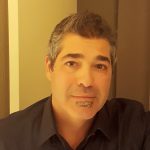 Todd E. Napolitano is the Director of Business Development and Program Manager for Mérieux NutriSciences’ GMO Services division. Todd has a broad background in analytical services in food, materials, and environmental sciences. He hails from Scarsdale, NY, and currently resides in Haddonfield, NJ with his two children.